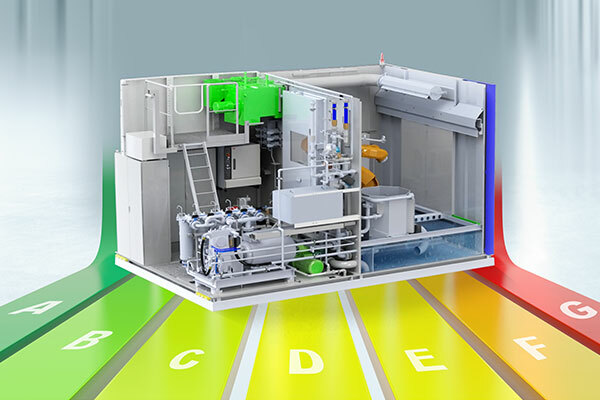 A key factor in reducing unit costs is the use of energy-saving potentials as identified during the production stage and also in industrial parts cleaning. Verification of power consumption with full and partial load production, in standby mode, etc. or more, depending on equipment configuration and processing times. In addition, we help our customers to optimize other major energy consumers such as central coolant filtration systems. Ecoclean's own Dynamic Flow Controller reduces the energy consumption wherever fluids have to be made available in non-uniform quantities.